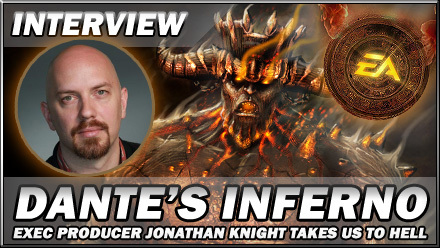 In-depth chat with executive producer, industry veteran Jonathan Knight, who reveals what makes Dante's Inferno hot - and what he committed to on "day one of the project". 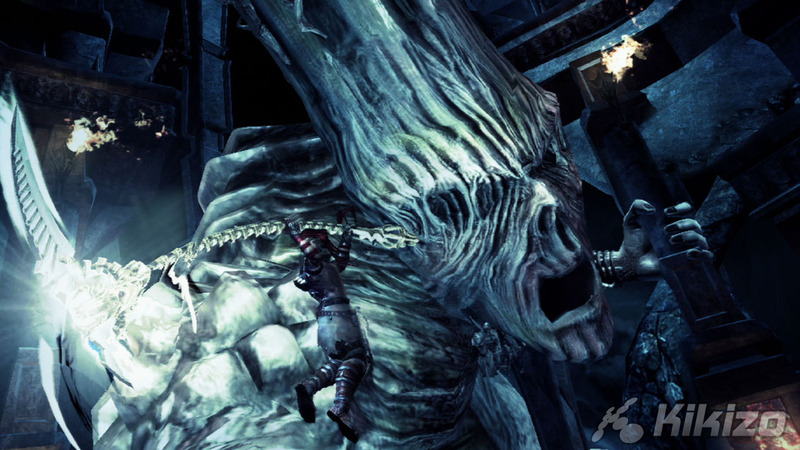 Jonathan Knight, Executive Producer at Visceral Games, is a cut above. Such glittering credits as Lead Producer on The Sims 2 and Senior Producer for all six versions of The Simpsons Game make up only the iceberg's tip of a career which encompasses fine art, academia and theatre. 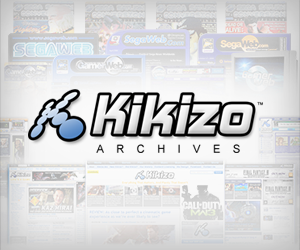 When we meet the guy to chat about Dante's Inferno, EA's stupendously over-the-top attempt to transform a medieval Christian poem into a modern-day action game, it's all Kikizo can do not to bow. We haven't been quite so complimentary about the title in question, numbering it among our six games that won't be worth the hype in April, but the sight of Visceral's demo churning out a crisp 60 frames per second of apocalyptic eye candy is hard to sniff at. Read on for Knight's thoughts on the Seven Deadly Sins, why gameplay ranks above graphics, killing Death, and how one goes about constructing a virtual Hell. 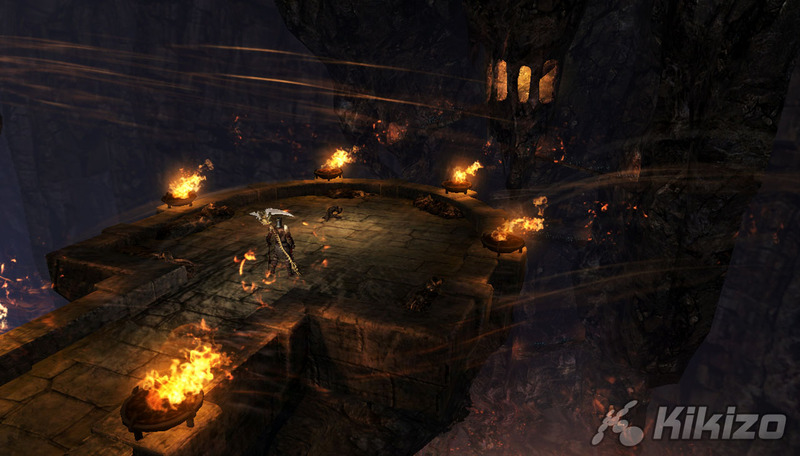 Kikizo: What are your personal highs for the hack and slash genre, and how is Dante's Inferno going to stand out? Jonathan Knight: Well it's always been a popular genre. 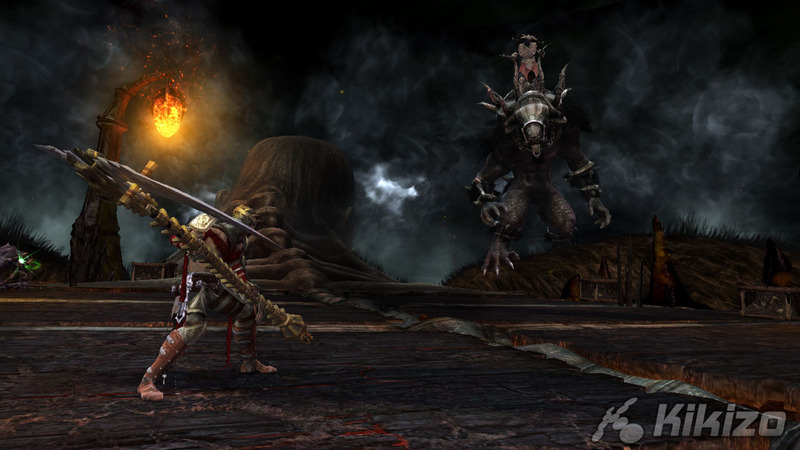 If you look over the past ten years or so, there's been four Devil May Crys, the Lord of the Rings series which we developed at Redwood Shores - we've got a lot of people from that team working on Dante's Inferno now. 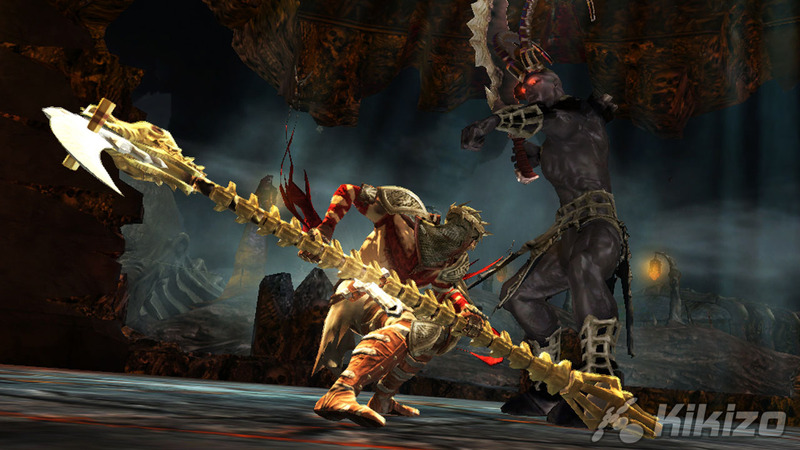 And then I think God of War really innovated in 2005 - they took that Devil May Cry formula, but made it a bit more accessible with the button call-outs, and a lot more visceral, a lot more "big adventure", epic moments, and put it into a mythology that was recognisable to people. And then you've had licensed games, Conan and Beowulf and Star Wars. Those are popular as well. So I think it's nothing new, basically. It's a crowded, popular genre. But with this one what makes it stand apart is that it's based on this poem. I think everyone has a fascination with Dante's Inferno, even if they haven't read it. They've generally heard of it - it's part of our cultural consciousness. 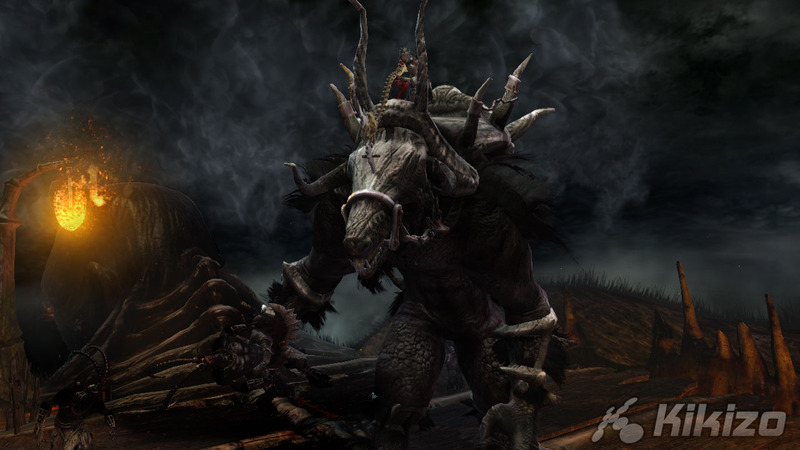 And what I wanted to do was set a game in - not just generic "demon-land", but really squarely in that medieval mythology, the medieval Christian mythology of what people thought 700 years ago about what happens when you die. It's that focus on the journey through the afterlife, and basing it as strictly as we can on the poem. Obviously we're making key departures with the character and the story to make it more appropriate for a videogame, but I really think that's the number one draw. 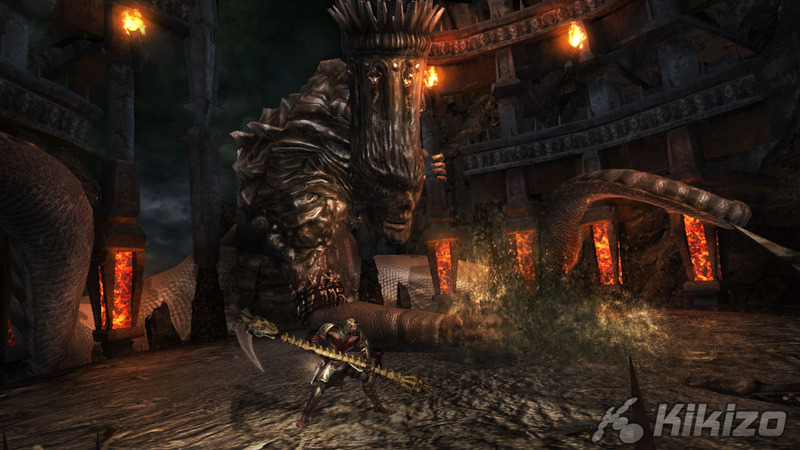 Now beyond that with the gameplay, we've combined Dante's scythe, which he takes from Death, and is a big blade similar to what you've seen in other games, and then he has this holy cross that he fights with, that he carries on his belt. And the cross has a ranged ability to it, and has a lot of holy and magical properties to it. And when you play the game you use it in strategic combination, back and forth, with the scythe. I think it feels like a really fun and custom combat system designed for this fiction. There are other things you do with the cross. You have the choice to punish or absolve the damned as you find them, which again ties back into the fiction of the poem, and also the economy of the game. All in all, I just think it's a really unique package of medieval-Christian mythology, so I think it'll stand out. And the main thing is it's super-fun to play. At the end of the day that was the most important thing - that it be very responsive, very fast, and have enough depth for the sophisticated gamers. It doesn't ever get boring.